The Matching Incentive Grant Program's purpose is to encourage non-profit groups in the community to improve existing or develop new park and recreation facilities, acquire land for new facilities, or provide more adequate facilities in their local communities. Examples of groups eligible to apply for the matching funds include: P.T.O’s, Civic Clubs, Boosters Clubs and Athletic or Recreation Associations. Grant Applications have a priority rating system based on the type of project applied for. 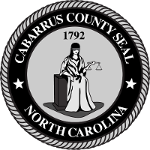 All improvements must be located on publicly owned property owned by Cabarrus County, the boards of education, a municipality within the County, or property leased to the County for a minimum of 15 years. Projects on school property must be consistent with the respective school system’s long range plans. Projects on park property must be consistent with the Parks Department’s long range plans. The property the project is located on must remain unlocked and open to the public. Available funds will be determined by the annual budget adopted by the Board of Commissioners.